Follow the ACESSE Project's work on Twitter and explore STEM Teaching Tool resources on its website, Twitter and Facebook. As part of national efforts to implement a new framework for equitable K-12 science teaching and learning, researchers at the University of Washington College of Education's Institute for Science + Math Education, in collaboration with the Council of State Science Supervisors and University of Colorado, Boulder School of Education, are addressing that challenge through a research-practice partnership involving science education leaders from 13 states. During the 2019 meeting of the American Educational Research Association, researchers shared how they are building capacity for sustaining and expanding system-wide improvement by engaging in collaborative design (co-design) and adaptive use of knowledge-building tools for teacher professional development. UW learning scientists Deb Morrison and Gina Tesoriero noted several principles supporting co-design work emerged from the ACESSE Project as the network of states and university researchers worked to develop coherent, equitable systems of state science education. The research and practice partnership, embedded within existing networks that support professional learning, enabled redistribution of power related to designing professional learning. 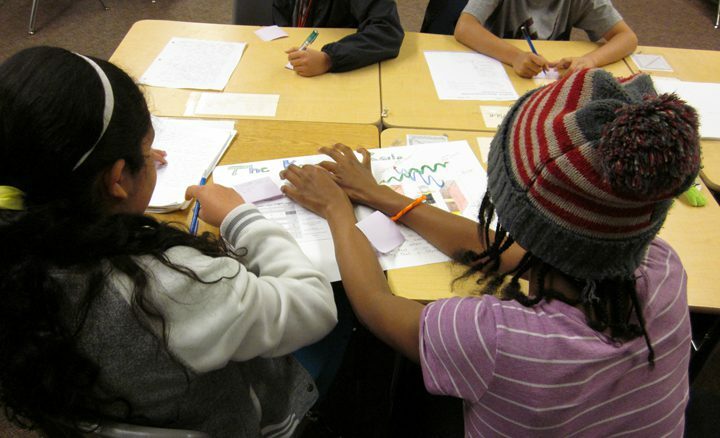 The effort leveraged formative assessment to expand participant understandings of resources learners bring to classrooms. The development of infrastructure—a collaborative transparent feedback process and iterative cycles of design and enactment across communities (i.e., in local contexts)—enabling the interweaving of people, artifacts and practices across distance. Co-design informed the development of new tools. Scaffolds were created to support adaptation and locationization to new contexts while formative assessment practices were leveraged to redesign the resource. More open educational resources for professional learning facilitators are available on the STEM Teaching Tools website — including slides, speaker notes, facilitator guide and embedded resources.